Last March after the Chicago Bears and Brian Urlacher could not agree on a renewed contract, Urlacher was stunned that the team he was loyal to for 13 seasons, decided to let him go. 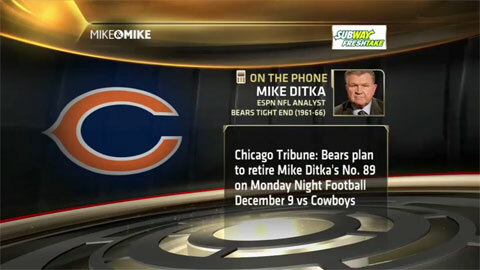 After he was let go by the Bears, and subsequently receiving minimal interest from other teams, Urlacher announced his retirement on Wednesday, May 22. Brian Urlacher announces his retirement on May, 22, 2013, after 13 seasons with the Bears. 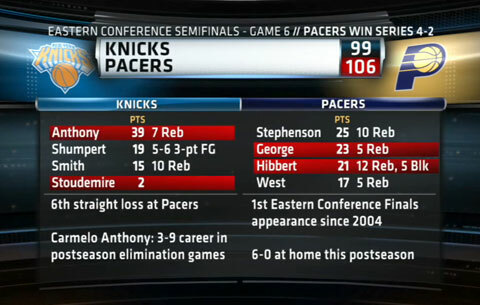 The Indiana Pacers eliminated the N.Y Knicks 106-99 in game 6 and will now meet the Miami Heat for a rematch in the Eastern Conference Finals. The highlight of game 6 came when native New Yorker, Lance Stephenson, scored 25 points to help the Pacers finish off the Knicks, giving Stephenson a playoff career-high 25. The Indiana Pacers defeat the New York Knicks in game 6 setting the stage for a rematch with the NBA Champs, Miami Heat, who they lost to last May in the Eastern Conference finals.